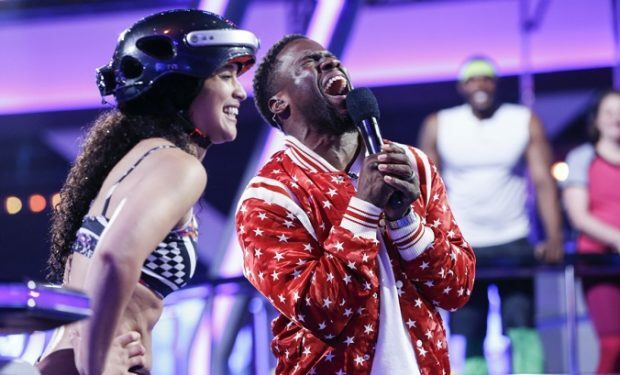 Stand-up comedian and Hollywood star Kevin Hart is the host of the new obstacle course TV competition TKO: Total Knock Out created by TV producer royalty Mark Burnett (Survivor, The Voice, Shark Tank, The Apprentice). 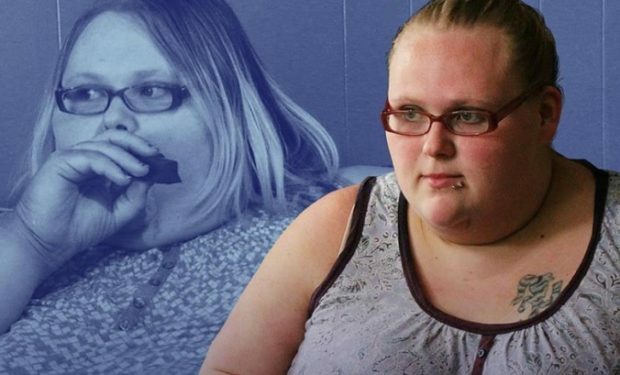 On the series premiere, five unsung people (a nurse, fifth grade teacher, behavioral scientist, police officer, and mom) from around the country are vying for the $50,000 prize. On the show, Kevin Hart wears a bright red satin bomber jacket with a ribbed baseball collar and with white stars all over it. It’s designed by twin brothers Ariel and Shimon Ovadia aka Ovadia & Sons of Brooklyn, New York. 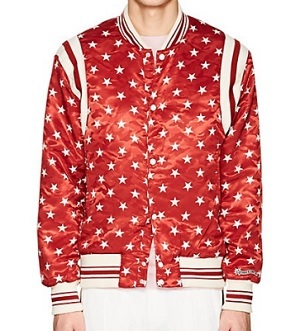 The Ball Star Satin Bomber Jacket sells for $950 at Barneys (see link above). TKO: Total Knock Out airs Wednesdays at 9pm on CBS, right after Big Brother.